The business was established in 2008, serving the local area for over 15 years. The Physiotherapy clinic has a strong focus on manual therapy, exercise rehabilitation, acupuncture, Pilates and sports rehabilitation. The clinic has a unique location with a mutually beneficial relationship with the Holistic Centre, offering clients a wide range of conventional and complementary therapies to suit the client’s individual needs in addition to physiotherapy, including Swedish body massage, aromatherapy, reflexology, chiropody, nutritional advice and counselling therapy. Our client estimates that income is roughly split 70/30 between insurance companies and private clients. Scope remains to potentially further increase capacity of clinic by increasing the number of clients through opportunities to expand within occupational health sector with number of large companies within the area and opportunities to expand the business by making use of additional rooms within the Holistic Centre. The company operates from within purpose built Holistic Centre located in a prime residential area iwith large car parking facilities. The area is surrounded by residential dwellings and commercial outlets ensuring a constant potential source of clientele. The site can easily be accessed by surrounding regions due to its close proximity to major road networks. Strong relationships with the majority of medico-legal intermediteries companies with preferred supplier status, who have all stopped recruiting new clinics within the area. Our client oversees the business operations as the sole Director on a part time basis due to their other business interests. 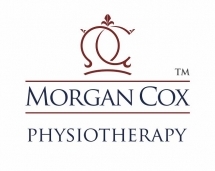 The business is operated by a part- time receptionist, and 4 part-time self employed physiotherapists. • local advertising/ marketing campaign e.g. regular advertising within town centre, sponsorship opportunities with local Rugby super league team, Widnes Vikings. The company operates from within an impressive, purpose built detached property set within the heart of a thriving residential area. The premises measure approximately? 237sqm and comprises of a car park to the side aspect, main entrance door leading to reception/waiting area, 1 well equipped physio rooms, a seminar room, Gym area, administration office, laundry room, staff kitchen, ladies, gents, and disabled WC, 5 additional therapy rooms. Our client is selling the company due to relocation.